johnkhor.com reached the Customer Information Counter at 230pm++ and I managed to get no 31. Let me share with you the procedures that you will need to go through to get the freebies. First, queue up. Second, wait for 1st Avenue staff to check your app whether it is the latest updated app. 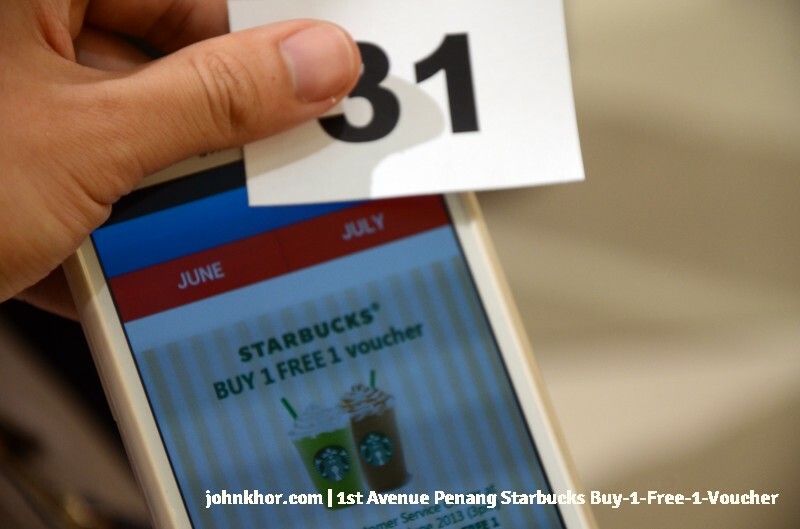 Third, make sure that your 1st Avenue Penang mobile app is the latest. Once the staff verified your app, he/she will give you a number. And lastly, play with your smartphone or tablet while waiting for the event to start. 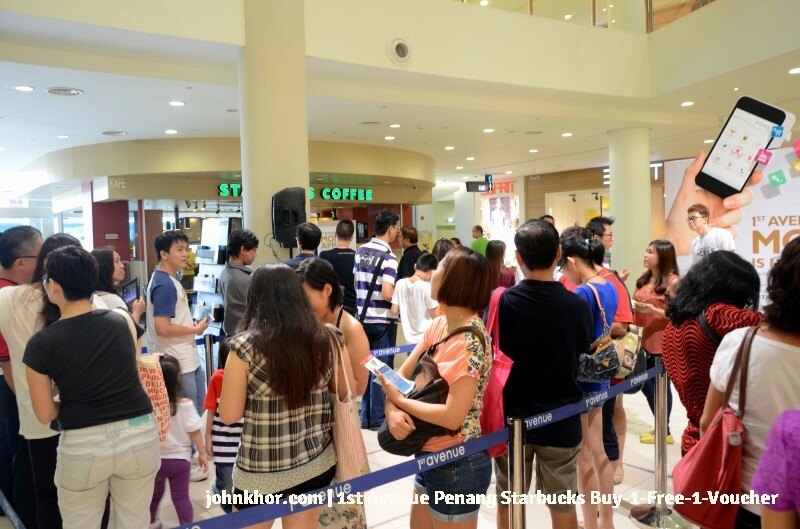 When it is your turn to collect the freebies, you need write down your details such as name, HP no and email address. Here are some of the photos that johnkhor.com has photographed. 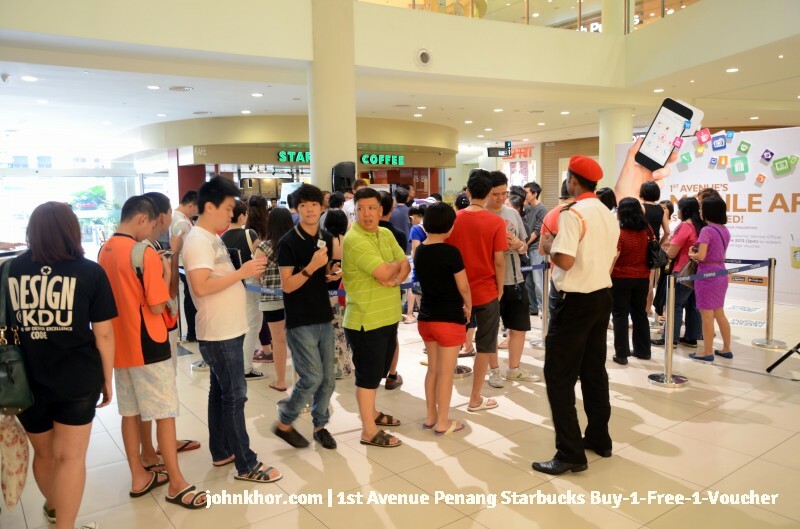 The crowd is already started to queue up. 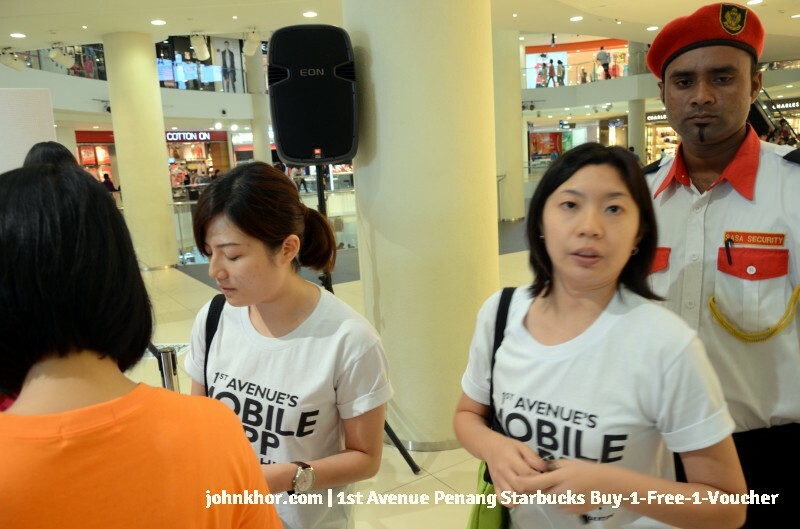 The 1st Avenue staffs doing a survey about their mobile app. Shoppers writing their details before receiving the voucher. 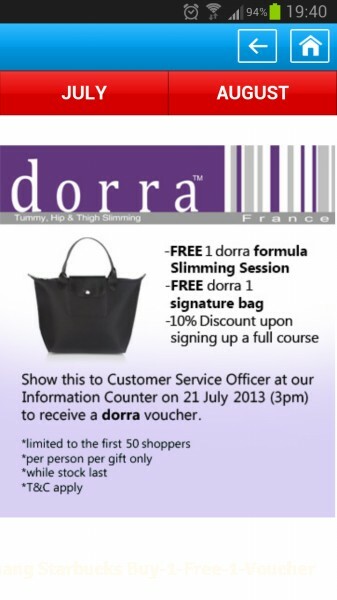 And, the next giveaway from 1st Avenue Penang mobile app for the month of July is Dora bag and 1 time free slimming voucher. And mark your date on 21st July 2013. And the August giveaway is RM10 Sushi King voucher. The same details apply. Show this ‘Exclusive Deals’ to the Customer Service Officer at Information Counter and limited to first 50 shoppers only. Next story The Need of Good Phone Casing! 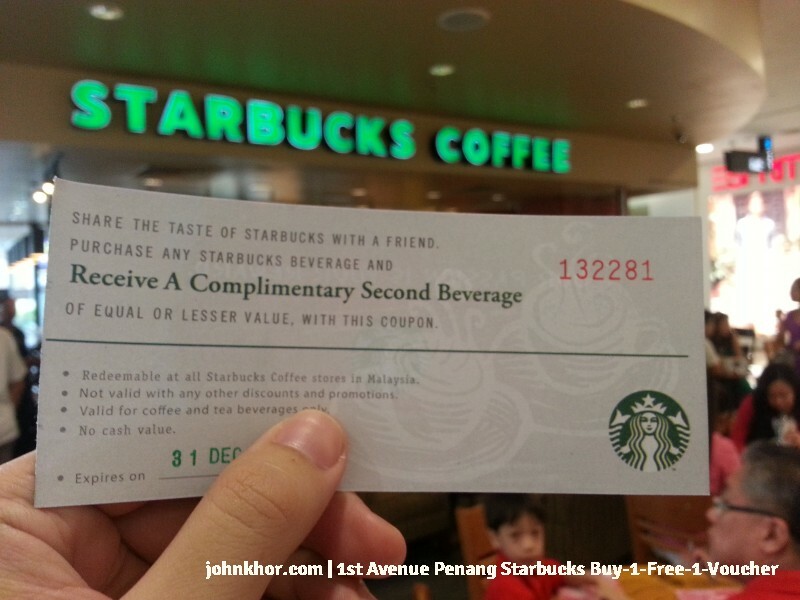 Previous story Starbucks Buy 1 Free 1 Voucher @ Penang 1st Avenue on 16th June 2013!! !